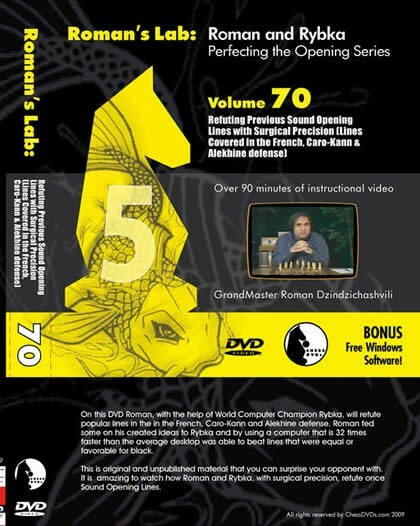 On this DVD Roman, with the help of World Computer Champion Rybka, will refute popular lines in the French, Caro-Kann and Alekhine Defense. Roman fed some of his created ideas to Rybka and by using a computer that is 32 times faster than the average desktop was able to beat lines that were equal or favorable for Black. This is original and unpublished material with which you can surprise your opponent. It is amazing to watch how Roman and Rybka, with surgical precision, refute once sound opening lines.